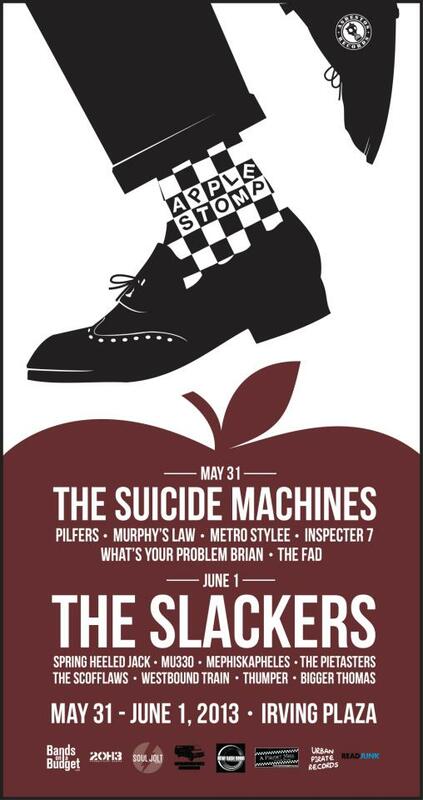 The Fad, Inspecter 7, and The Scofflaws have been added to THE APPLE STOMP at Irving Plaza in NYC on May 31st and June 1st. We couldn’t be happier or more excited at how this event is turning out! Not to be missed, make sure to grab your tickets now if you want a 2 day pass, or be quick and grab a day pass to either show tomorrow. It’s gonna be a rager… Get ready to have a whole lot of fun!!! After months of planning and a whole lot of waiting, we are very proud to announce the first ever APPLE STOMP, taking place at Irving Plaza in NYC on May 31st and June 1st courtesy of our friends at Asbestos Records and a host of awesome sponsors! 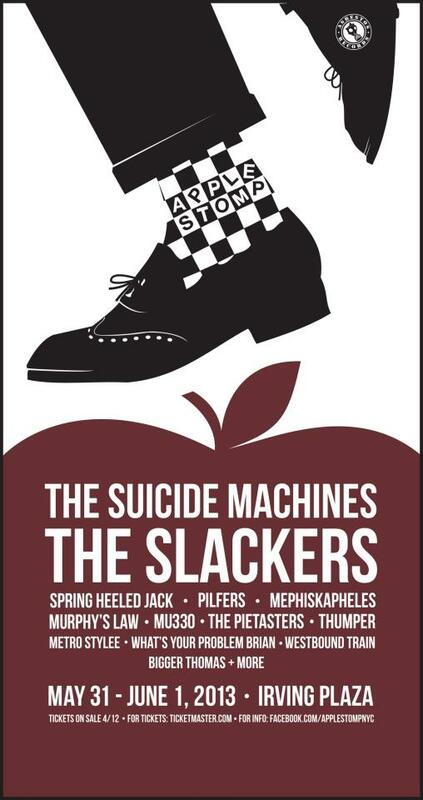 In addition to an anxiously awaited reunion by Metal-Ska band THUMPER, the lineup also includes a host of other tremendous Ska Acts including THE SUICIDE MACHINES, THE SLACKERS, PILFERS, SPRING HEELED JACK, MU330, MEPHISKAPHELES, MURPHY’S LAW, WESTBOUND TRAIN, METRO STYLEE, BIGGER THOMAS, WHATS YOUR PROBLEM BRAIN, and more to be announced shortly. THIS WILL SELL OUT. Do NOT wait to get tickets.